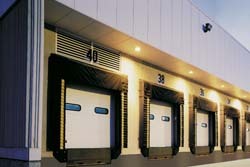 Overhead Doors to fit…Your Building, Your Design, and Your Budget! 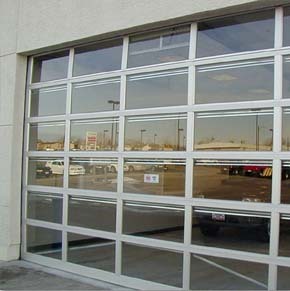 Omaha Door & Window Co. can handle all of your commercial sectional door and operator needs. We can help you with your new building or replace your worn out door or operator. We also can remodel door openings, if you want to change your door size. Your new door or opener can be installed by our experienced installers or we can provide all necessary hardware for self-installations. Our service department can also custom design special application radio controls and transmitters. For example, we can expand the number of doors our transmitters can open up to 243 doors. Our large Service Department is available, after the sale, to assist you. Maximum Thermal Protection with Raynor’s ThermaSeal™ Energy Efficient Commercial Overhead Sectional Door. Steel Two Sided Construction with 26-Gauge Exterior and 26-Gauge Interior. A true Thermal Break between sections Prevents Heat Loss. Dual Vinyl Weatherstip dramatically Reduces Air Infiltration. Two-Coat Baked-On Paint process over Rust Resistant Galvanized Steel for long life. Sizes up to 28’ x 20’ are available. 10-Year Delamination Warranty 1-Year Any Rust Warranty. Colors Available: White or Optional Kynar Dark Brown. Practical Thermal Protection with Raynor’s ThermaSeal™ Energy Efficient Commercial Overhead Sectional Door. Steel Two Sided Construction with 25-Gauge Exterior and 26-Gauge Interior. Sizes up to 28’ x 20 are available. 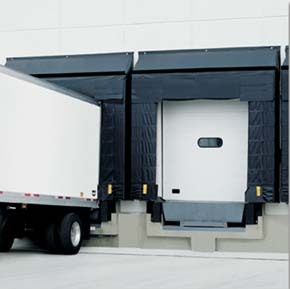 Proven Thermal Efficiency with Raynor’s TC Series Energy Efficient, Commercial Overhead Sectional Door. Mechanically Interlocked Thermal Barrier and Vinyl Section Joint Seal Prevents Air Flow between sections. 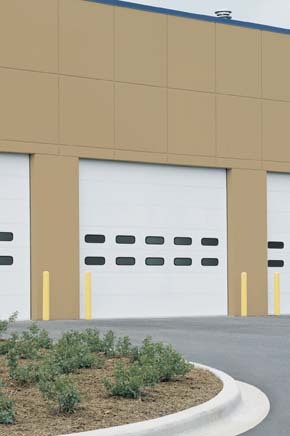 Rugged, Smooth Raynor SteelForm™ Ribbed Commercial Overhead Sectional Door. Available with Energy-Saving Insulation. Choose from Hardboard, Poly Impact, or Steel Covers. Full 24-Gauge with Hot-Dipped Galvanized, Rust-Resistant Steel and Baked-on Finish. Stainless Steel Rivets and Welding the door together help make Raynor S24 the Strongest Door Available. S-24 – White and Kynar Colors which include Frost White, Dark Brown, Sepia, and Beige. 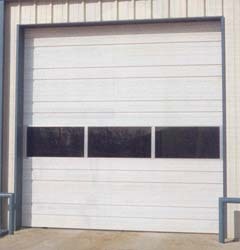 Dependable, Attractive Raynor Aluminum Commercial Overhead Sectional Door offers Maximum Visibility. Clear Anodized-Finish Extruded Aluminum Frame for Maximum Durability. Choice of windows: Choose from Double-Strength, Tempered, Tinted, Insulated, Acrylic, or Polycarbonate Glass. Colors Available: Clear Anodized, Bronze Anodized, Black Anodized, and ArmorBrite Powder-Coat 187 Custom Colors. 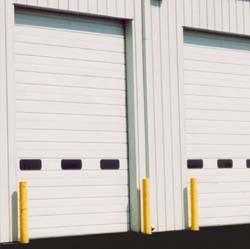 Smooth Mid America Ribbed Commercial Overhead Sectional Door. 24-Gauge with Hot-Dipped Galvanized, Rust-Resistant Steel and Baked-on Polyester finish. Tongue and Groove Meeting Rail provide a Weather Tight Seal between sections. 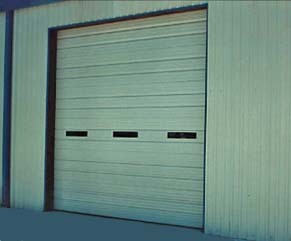 Smooth Mid America Ribbed Insulated Commercial Overhead Sectional Door. Hot-dipped Galvanized, Rust-Resistant Steel and Baked-on Polyester finish. 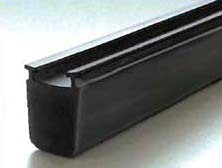 Tongue and Groove Meeting Rail provide a Weather-Tight Seal between sections. Available in 1/3, 1/2, 3/4, and 1 HP; Single-phase or Three-phase power. 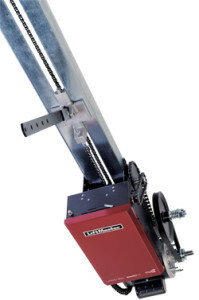 Heavy Duty Chain, Ball Bearings on the output shaft, and Emergency Disconnect are standard features. Logic 5.0 Technology has a built-in Security + 2.0 Radio Receiver, Self-Diagnostic System and a Timer to close. 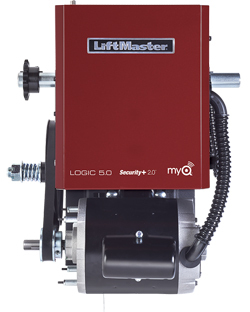 MyQ technology enables you to securely monitor and control your operator and lights with your smartphone, tablet, or computer. Alerts can be received as an email or pop up (push) notifications on a mobile device. Industrial-Duty Jackshaft Belt Drive Operator that turns the door spring shaft to lift the door. 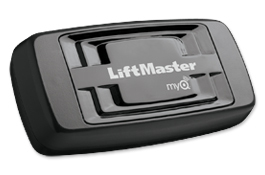 Designed for High or Vertical Lift Sectional Doors and Rolling Doors, Grilles, and Shutters. Available in 1/3, 1/2, 3/4, and 1 HP Motors; Single-phase or Three-phase power. Logic 5.0 Technology has a built-in Security+ 2.0 Radio Receiver, Self-Diagnostic System and a Timer to close. 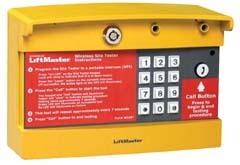 Model H has an Emergency Chain Hoist that can raise the door if there is a power failure or breakdown. 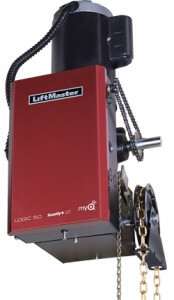 Heavy Industrial-Duty Gear Reduced Hoist Operator that turns the door spring shaft to lift the door. Available in 1/2, to 3 HP Motors; Single-phase or Three-phase power. 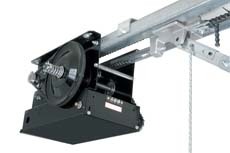 Emergency Chain Hoist that can raise the door if there is a power failure or breakdown. Raynor offers a complete line of commercial overhead operators. Each unit includes a full ball-bearing power train with additional reduction by chain and sprockets. The limit switches are positive, chain-drive, screw type, and easily accessible for precision settings.